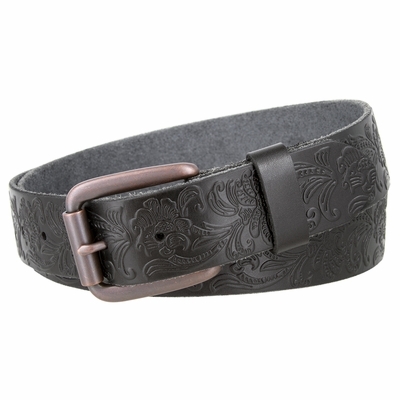 Floral Tooled belt strap made from a single piece of genuine leather, and a roller antique copper finished buckle. 1 1/2"(38mm) wide belt strap. Size measured from where the belt folds to center hole.